Today in Masonic History John Armstrong, Jr. passes away in 1843. John Armstrong, Jr. was an American soldier and politician. Armstrong was born on November 25th, 1758 in Carlisle, Pennsylvania. He attended school in Carlisle before attending the College of New Jersey, now Princeton University. In 1775, he ended his education and returned home to join the militia to fight in the American Revolution. In the Continental Army, Armstrong was made aide-De-camp to General Hugh Mercer. At the Battle of Princeton would carry the dying Mercer off the battlefield. After Mercer's passing, Armstrong was assigned as aide-De-camp of General Horatio Gates. He stayed with Gates through the Battle of Saratoga which ended in 1777. After the Battle of Saratoga, Armstrong retired due to health issues. In 1782, Armstrong returned to service at the request of Gates. Armstrong went on to Gates' staff as a Major and remained that rank until the end of the war. In 1783, Armstrong is widely believed to have written the letters at the center of the Newburgh Conspiracy. The "Conspiracy" was over back pay owed to soldiers in the Continental Army. The letters that Armstrong wrote was meant to rally officers to the cause, and to confront the new Continental Congress about the issues. The "Conspiracy" ended when George Washington stepped in and provided a solution that was acceptable to both sides of disagreement. After the Revolutionary war, Armstrong held a variety of political offices. In 1787 and 1788, Armstrong was a delegate to the Continental Congress. In 1838, he would become the last surviving member of the Continental Congress when the only other surviving delegate passed away. At the Continental Congress he was offered a variety of public positions, all of which he declined. He would not return to politics until 1800 when he was elected to finish out a term in the United State Senate from New York, which was vacated by resignation. He would be reelected in 1801 to that senate seat only to resign himself in 1802. In 1803, Armstrong's replacement, Dewitt Clinton resigned and Armstrong was appointed to resume the remainder of his term in the Senate. 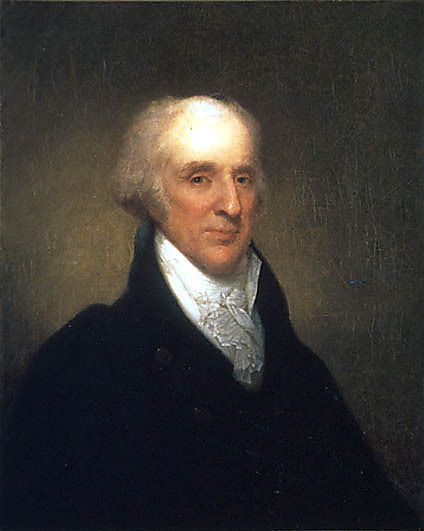 In 1804, Armstrong was elected to the class 1 Senate seat from New York. The previous seat was the class 3 seat. He only served 4 months of that term though and was appointed the United States Minister to France. He served as Minister to France until 1810. He also served as a representative for the United States in the court of Spain. When the War of 1812 broke out, Armstrong was reactivated as a Brigadier General. He only served one year before being appointed as Secretary of War. His tenure in that position was short. Although he made valuable changes to the armed forces, he neglected the defense of Washington, D.C., even when it became obvious that was the goal of the invading British forces. After the destruction of Washington, President Madison demanded Armstrong's resignation, which he gave. Armstrong passed away on April 1st, 1843. Armstrong was a member of Hibernia Lodge No. 339 in New York City, New York.